Orchestra Gradus ad Parnassum (which means a “step to perfection”) is a school of life through unprecedented artistic standards and educational and performing music traditions rooted in Europe and seeded in America, in the heart of California. It started as a first year-round premier youth orchestra in the Tri-Valley of the San Francisco Bay Area and moving to Fremont, CA in 2019 will reach out to Silicon Valley’s young symphonic players. Fiscally sponsored by non-profit corporation SocialGood Fund since inauguration in 2015, it was initiated by group of parents and internationally acclaimed pianist and conductor Temirzhan Yerzhanov and violinist and conductor Imant Airea. Currently in its fourth season, OGP have performed on stages of Dublin Performing Center, Amador Theater and Mission Santa Clara presenting diverse music genres like symphonies and concert pieces, opera overtures and arias, instrumental concertos from baroque to contemporary styles and featuring local instrumental and opera stars as well as its own members as soloists. OGP’s repertoire includes some important works like Vivaldi’s Concerto for four violins, Chopin’s Grande Polonaise Brillante, Rossini’s Il Barbiere di Siviglia Overture, Weniawski’s Legend, Saint-Saens’s Cello Concerto no. 1, Bach’s Matthäus-Passion, Mozart’s Symphonies no. 39, 41 and Der Zauberflöte, La Clemenza di Tito and Don Giovanni Overtures, Delibes’ La Roi s’amuse, Prokofiev’s Classical Symphony, J. Strauss’s Die Fledermaus, Bizet’s Carmen and L’Arlesienne Suite, Händel’s Water-Music and Messiah, Vieuxtemps’ Violin Concerto no. 5 and Schumann’s Introduction and Allegro appassionato. Pleasanton Cultural Arts Council presented OGP in a benefit concert for local public school art programs where Temirzhan Yerzhanov and Klara Frei Piano Duet performed a rare Leopold Koželuch’s Piano Four Hands Concerto. In 2018 OGP made a historic appearance at Carnegie Hall Auditorium Stern, New York in a Viennese Masters Invitational concert. Based on the recording from this concert OGP was selected to perform on stages of Liszt Music Academy in Budapest, Bergkirche in Eisenstadt, resting place of Haydn and Golden Hall of Musikverein, home of Vienna Philharmonic in a special celebration of Beethoven’s 250th Anniversary in 2020. Praised in the early days of his career as a “fine musician whose performance touched to tears” by the great conductor Evgeny Svetlanov, Latvian-American conductor Imant Airea went on to become a prominent artist in his native country and abroad. His talent and experience brought him a recognition that propelled him to several resident conductor positions with such orchestras as The Bolshoi Theater Orchestra, Monterey Symphony, and Symphony of New Russia. Mr. Airea had many guest appearances with orchestras such as the Moscow Philharmonic, The National Latvian Symphony, Gyunggi Philharmonic, Symphony Orchestra of Russia, National Philharmonic Orchestra of Ukraine and more than dozen of orchestras across former USSR. As a Music Director he also led such orchestras as Daugavpils Symphony, Yaroslavl Philharmonic and National Symphony Orchestra of Uzbekistan. Mr. Airea was sought after by companies like National Latvian Opera, The Tchaikovsky Perm Opera & Ballet, Chişinău National Opera, The Alisher Navoi Grand Opera, Riga Operetta and others, where he led many productions. At the Bolshoi Ballet, world’s leading ballet company, he made a National premiere of the ballet Cyrano de Bergerac, choreographed by the legendary Roland Petit. His wide opera, ballet, operetta and musical repertoire ranges from Giselle to Rite of Spring, from Eugene Onegin to Il Trovatore. Throughout his career Mr. Airea was happy to collaborate with many prominent artists like mezzo-soprano Irina Arkhipova, baritone Vladimir Chernov, bass Ildar Abdrazakov; pianists Boris Berezovsky, Derek Han, Dubravka Tomšič, Diane Walsh, Dmitry Bashkirov; violinist Mikhail Bezverkhny and many others. As an enthusiastic artistic director, Mr. Airea participated in several festivals, including Skaneateles Festival in New York State, International Arkhipova Festival in Moscow and International Sobinov Festival in Yaroslavl. A true champion of modern music, Mr. Airea premiered and performed many works of contemporary composers such as Alfred Schnittke, Sofia Gubaidulina, Edison Denisov, Evgeny Svetlanov, Sergey Slonimsky, Sergey Berinsky and others at the International Moscow Autumn Festival. Conductor’s core repertoire includes virtually all major symphonies and oratorios by Mozart, Beethoven, Brahms, Tchaikovsky, Verdi and Shostakovich, just to name a few. Russia’s top record label Melodia released five discs of Mr. Airea’s performances and his career brought him on stages of Latvia, Russia and as far as France, Germany, South Korea and USA. Trained first as a violinist at the Jāzeps Vītols Latvian Academy of Music, Riga, Mr. Airea studied there also conducting with Professor Vassily Sinaisky. Later his other mentors were great conductors Ilya Musin and Arvīds Jansons. He himself rose to become a violin and conducting teacher, having been a Professor at the Saratov State Conservatory and Associate Professor in Conducting and Music Director at the University of the Pacific Conservatory of Music. The American musician hailing from Kazakhstan launched his international career by winning the Gold Medal at the International Robert Schumann Piano Competition in Zwickau, Germany, and now continues performing also as an emerging conductor. Temirzhan Yerzhanov has toured in Germany, Russia, France, Italy, Switzerland, Czech Republic, USA, United Kingdom, China, India and Brazil. 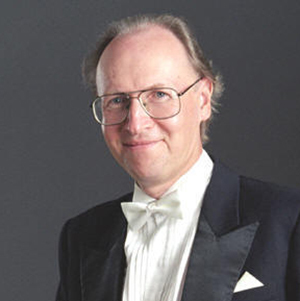 He has soloed with many orchestras including Moscow Radio Tchaikovsky Symphony, Zwickau Philharmonishes Orchester, Sacramento Philharmonic, Vogtland Philharmonie, and The Symphony Orchestra of India, working with such conductors as Vladimir Fedoseev, Lothar Seyfart, Johannes Wildner, Michael Morgan and Jiří Malát. He has appeared in prestigious venues such as London Wigmore Hall, New York Carnegie Hall Auditorium Stern, Berlin Konzerthaus, Leipzig Gewandhaus, Moscow Tchaikovsky Conservatory, Dresden Sempergalerie, Paris Salle Gaveau, Moscow Conservatory and St. Petersburg Philharmonic Grand Halls. Mr. Yerzhanov has been featured on live broadcasts, in studio recordings and talk shows of Deutsche Radio Berlin, Hong Kong Radio, BBC Radio, Radio Free Europe, Radio Russia and Orpheus Radio; recorded CDs of Schumann (RCD label) and Prokofiev works including World premiere of Classical Symphony (Con Brio Recordings). A diverse musician, Mr. Yerzhanov has collaborated on concert stage with many opera singers and instrumentalists including such artists of international acclaim as Elena Kelessidi, Melody Moore (sopranos), Suzanna Guzman, Catherine Cook (mezzo-sopranos), Ao Li (bass), Michael Collins (clarinet). He is a frequent piano duo player with his wife Klara Frei and internationally acclaimed opera coach sought after by singers and companies like Opera San Jose, New Opera New York City, Opera Academy of California, Telegraph Hill Festival in London. He conceived and performed a National premiere of Rossini’s Petite Messe Solennelle. Having started as assistant conductor at Golden Gate Opera, El Camino Youth Orchestra and California Opera, he led Kazakh Philharmonic Orchestra and Chorus in a National Premieres of Mozart’s Idomeneo and Krönungsmesse, Orquestra Capital Philharmonia Brasilia and two orchestras that he founded – Google Orchestra and Orchestra Gradus ad Parnassum. As a Music Director at the Opera Cultura, San Jose he conducted La Llorona and premieres of Cuentos de Perigrinacion and Bless me, Ultima by Hector Armienta. 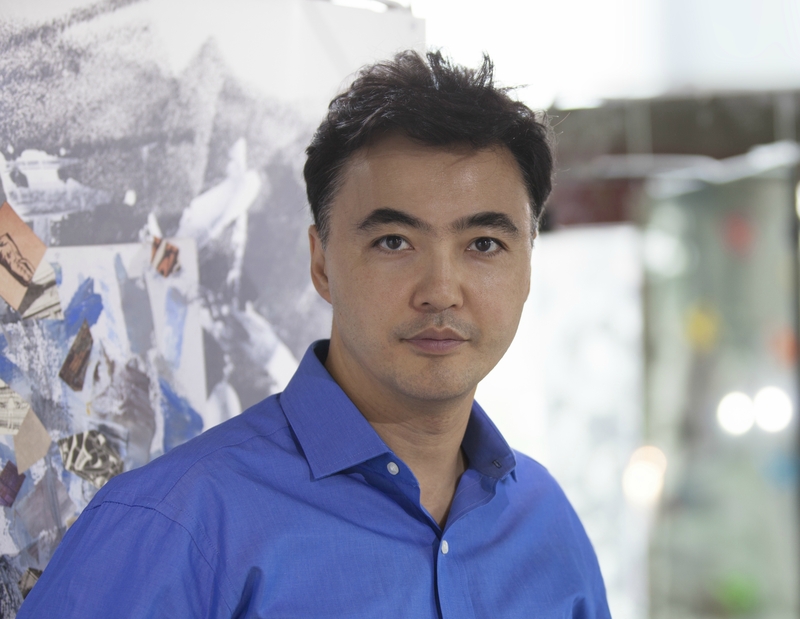 A graduate and former faculty member of the Moscow Tchaikovsky Conservatory, Temirzhan Yerzhanov studied piano with Professor Mikhail Voskressensky and accompanying with Professor Vazha Chachava. Later he studied conducting with Latvian-American conductor Imant Airea. He was named ‘Best Performer of 2007’ by San Francisco Classical Voice along with San Francisco Opera and soprano Angela Gheorghiu, Philharmonia Baroque Orchestra, Mark Morris Dance Group, Artemis Quartet and Medieval Trio. In his native country he is awarded with Yenbek Sinirgen Qairatkeri, the highest honorary title for national contribution.